I took a fascinating class at university called ‘Childbirth in 17th Century England’, which looked at the history of childbirth and the transition from traditional women-led births to a medicalised and male-led birth process. Apparently, a midwife was called, husbands weren’t allowed in the room, and all the female friends and relatives of the labouring mother arrived in the birthing room and supped a drink called caudle (which as I recall contained lots of booze). Husbands were barred from the birthing chamber for 40 days and the mother stayed in bed, healed, was looked after by other women, and presumably learnt to breastfeed and bonded with her baby. After that confinement, mother and baby would leave the house, walk to church and be ‘cleansed’, before re-entering normal life. I forgot about all this until I became pregnant with my children and I attempted to recreate that ‘lying in month’. 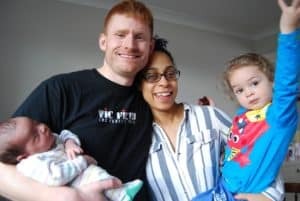 The first time around I didn’t do too well: I walked to my first postnatal midwife check, I attended two hospital appointments and went to register the baby’s birth. Most of this could have been done at home or left until later. I would get up to change nappies and I had quite a lot of visitors, including extended family. 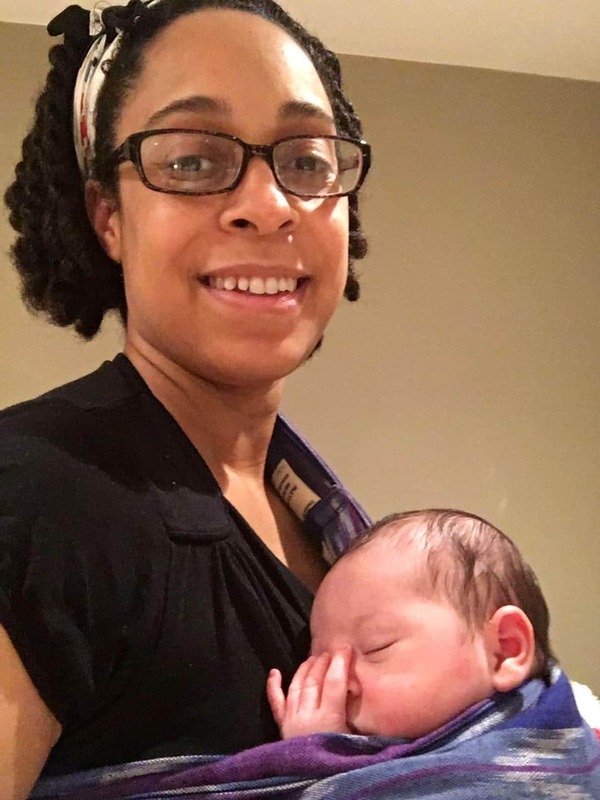 The post-partum period was rough: my stitches didn’t heal for 12 weeks, I couldn’t walk farther than the end of my road after two weeks, and breastfeeding was painful. The second time around, I vowed to protect myself better. 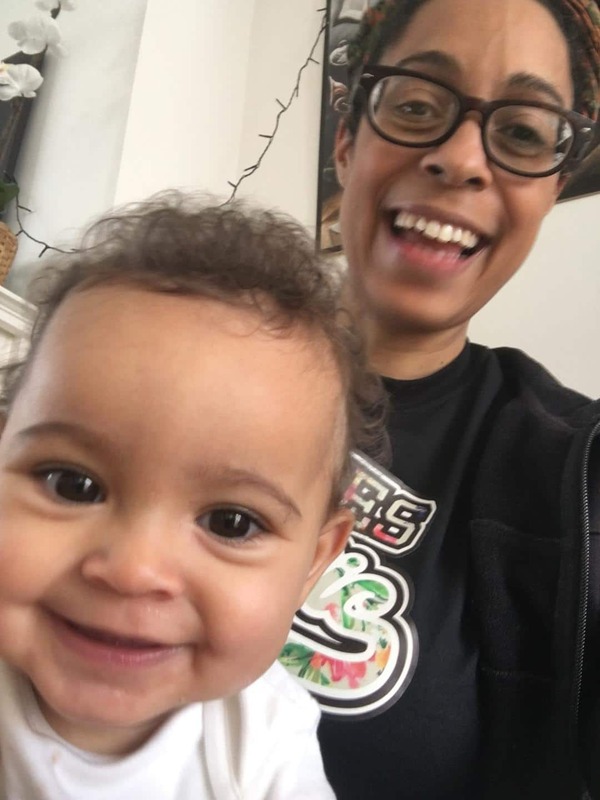 I was able to sign up for a Neighbourhood Midwives pilot project and to have a home birth; I received daily home visits of up to an hour after the baby was born and weekly home visits for five weeks. After reading a couple of books on the importance of physical and emotional recovery after birth, I committed to the idea of taking the time I needed. After an exhausting home birth, I settled in the spare room with my new baby daughter and asked my family to help with my two year old child. I had cooked and frozen some meals in advance, but also asked friends and family to make soups and stews for us during the first few weeks. I asked my mum to come over regularly in the first week and she was wonderfully supportive, making me huge breakfasts of porridge, eggs and fruit and other nutritious meals (I was eating four times a day). I really did my best to stay in bed and keep warm, to ask for help and allow others to look after me. I noticed that if I was out of bed and up for a while my body would start to ache, afterpains would strengthen and I would become quickly drained and tired; if family sat around chatting to me for too long I would start to feel exhausted and weepy. I needed time to be able to eat enough calories, feed and cuddle my baby, and get enough sleep. I had some problems with painful feeding around the third day and both a lactation consu ltant and my midwives diagnosed the baby with tongue tie. Having these appointments and reading information about tongue tie and treatment options took up the remainder of my week. When I went downstairs to spend time on the sofa during the second week, I decided to do the washing up and make something to eat, but I noticed that my post-partum bleeding started to get heavier almost immediately. I realised that this ‘rest and recovery’ idea wasn’t an indulgence, so I put my pyjamas back on and went back to bed. Towards the end of the second week I started to feel really relaxed: breastfeeding was now mostly pain free, I was drinking and eating a lot (including chocolate), and my energy levels were gradually increasing. I could feel that my stitches were healing much better than after my first delivery. I was able to have daily showers, moisturise my skin and hair and paint my toenails (which I could see again as my stomach had deflated!). My baby was gaining weight well and I had lots of time alone with her to cuddle, stare at her, smell her and generally bond with her. With my partner back at work, friends and family continued to help us with childcare, housework and cooking during the third week. Only a few friends visited during this time and I stayed home or close to home as much as possible. Sometimes it all seemed frustratingly slow and I longed to go out shopping or socialising, but I knew that my daughter wouldn’t get anything from it at that stage. I also put off appointments such as the newborn hearing screening and registering the birth until the last possible date. Baby and I slept in the spare room for eight weeks, until she began to be slightly less nocturnal and we started going out and about a bit further afield. 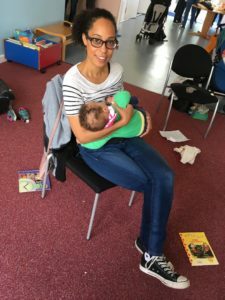 I look back really fondly on my ‘lying in month’ which allowed me to be so close to my baby and to draw a lot of strength from being nurtured and looked after.